We have seen first-hand how partnerships within the Microsoft ecosystem benefit the end customer and extend our reach into verticals and geographies outside our core areas. The International Association of Microsoft Channel Partners is delighted to recognize Qorus as one of the top partners in the IAMCP global community for achieving excellence in partner-to-partner (P2P) solutions that drive customer value. The International Association of Microsoft Channel Partners (IAMCP) is the leading independent global organization for business networking in the Microsoft partner ecosystem with 80+ chapters in over 40 countries around the world. 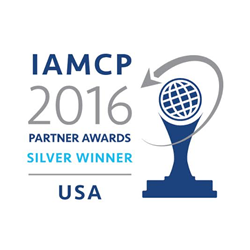 IAMCP members represent the trusted, independent voice of the Microsoft partner community.